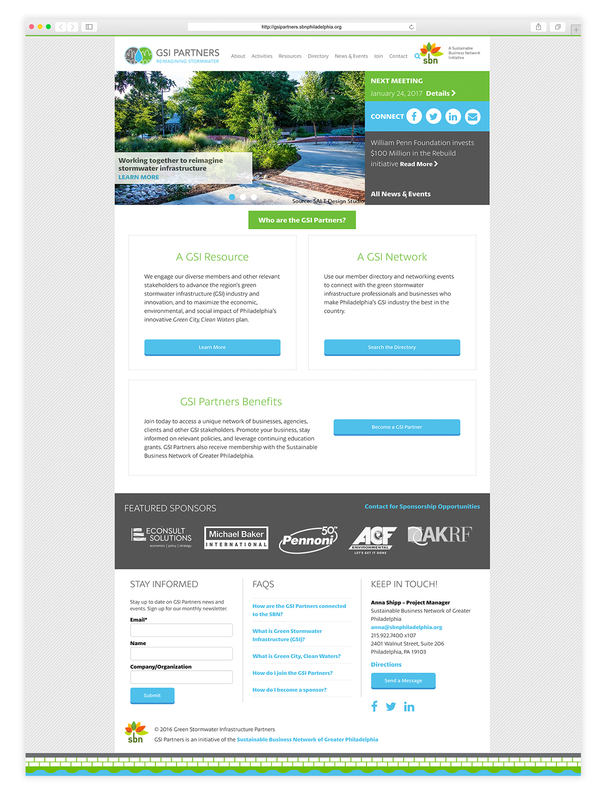 The Sustainable Business Network of Greater Philadelphia (SBN) needed to prove to the public that one of its priority initiatives, The Green Stormwater Infrastructure Partners (GSI Partners), was indeed a priority and to make sure it looked the part. GSI Partners is working to maximize the local economic, environmental, and social impact of Philadelphia’s innovative Green City, Clean Waters plan. This plan was the first of its kind in the country; this made GSI Partners unique as well. It had to invite new local members into its network as well as position itself as a respected resource for big business. They enlisted the help of Humid to create a name and visual identity to present to its public. 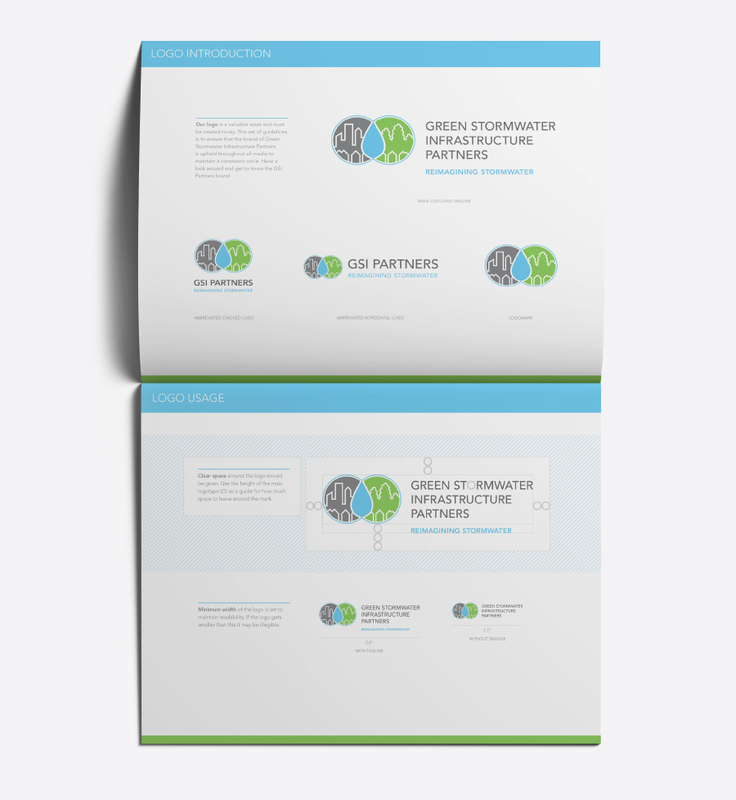 Humid conducted a thorough analysis of groups and businesses surrounding the Green Stormwater Infrastructure industry and then explored targeted ways to leverage these findings in GSI Partners’ branding. 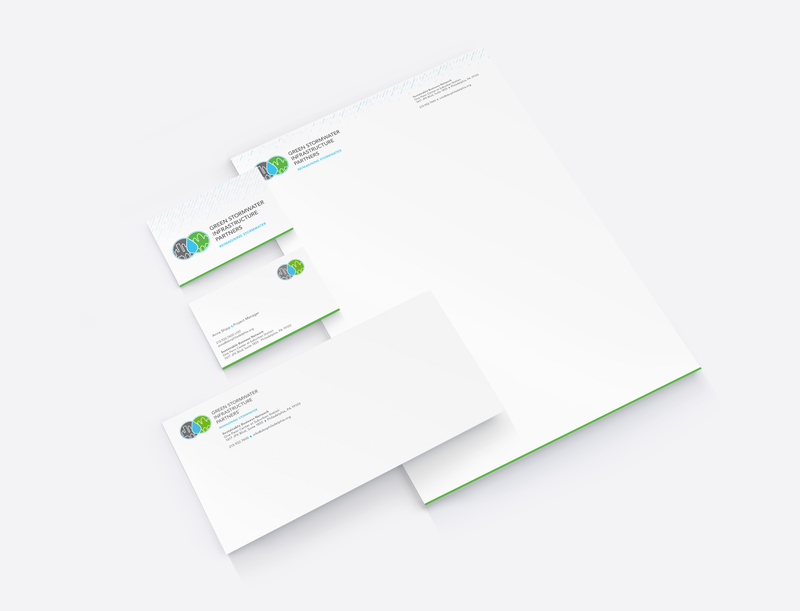 The resulting identity told the GSI story and positioned them as a trusted resource. SBN needed to show that their GSI Partners initiative was a priority and tell their story.